December 2014: Latest study from Dr. Nagrath’s lab explaining the role of abdominal stem cells in ovarian cancer growth and metastasis has been featured in Drug Discovery & Devpt, Medical Xpress, R&D and Health Canal. November 2014: Congratulations to Bahar Salimian for publishing her manuscript in Cancer Research. September 2014: Congratulations to Joelle Baddour and Abhinav Achreja for completing their thesis proposals. May 2014: Latest study from Dr. Nagrath’s lab linking glutamine ratio and ovarian cancer invasiveness has been featured in ASCO Post, Medical Xpress, Science Daily, News Medical, Hispanic Business, Eureka, Science Codex, P&T Community, Counsel & Heal, Kopalnia Wiedzy and more. May 2014: Congratulations to Lifeng for publishing his manuscript in Molecular Systems Biology. April 2014: Congratulations to Lifeng Yang for being awarded the Lodieska Stockbridge Vaughn Fellowship, an honor awarded to only five graduate students from Rice University each year for showing outstanding achievement and promise. May 2013: Congratulations to Joelle Baddour and Abhinav Achreja for passing their qualifying exams. February 2013: Congratulations to Lifeng Yang for being awarded the 2012 IBB Travel Grant! January 2013: We welcome our newest lab members: Joelle Baddour and Abhinav Achreja, first year chemical engineering graduate students! September 2012: Congratulations to Lifeng Yang for passing his Thesis proposal. August 2012: Congratulations to Bahar Salimian Rizi for passing her Thesis proposal. August 2012: Deepak is invited to join the editorial board of Organogenesis Journal. August 2012: Congratulations to Christine for publishing her manuscript in American Journal of Physiology-Endocrinology and Metabolism. July 2012: Congratulations to Lifeng for publishing his first manuscript with collaborators at MD Anderson. July 2012: Congratulations to Nadege for publishing her manuscript in BBA Bioenergetics. June 2012: We welcome several summer students in our lab. Niharika, Saket, Keerthana, Mia, Jennifer, and Cheryl are having great experience learning about metabolic engineering of human diseases. June 2012: Our lab welcomes Jordan Harrell who is a visiting MS student from Rice Bioengineering. May 2012: Congratulations to Lisa for getting admission in medical school at University of Texas, Health Science Center at Houston. Congratulations to Delisa for getting admission into “Semester at Sea” program. April 2012: Deepak chosen as the Favorite CHBE Professor Award by the chemical engineering students of 2012! April 2012: Nagrath Lab congratulates Aaron Damm for successfully defending his MS thesis. Aaron is still deciding where to join (Du Pont, Flow and few more…). February 2012: Congratulations to current undergraduate in the lab, Lisa Pabst, on getting accepted to the University of Texas Health Science Center at San Antonio School of Medicine! Congratulations goes to former lab member, Syed Asad Hussein, on his acceptance to the University of Texas Health Science Center at Houston School of Medicine! December 2011: We are excited to welcome first year chemical engineering graduate student Hongyun Zhao as she joins our lab. October 2011: On Sept 23, 2011, the paper “Optimality and thermodynamics determine the evolution of transcriptional regulatory networks” was accepted to the journal Molecular Biosystems, on which Dr. Nagrath shared equal contribution with the first author. August 2011: Congratulations to Lifeng, Bahar, and Aaron on passing their qualifier exams and becoming PhD candidates in the chemical and biomolecular engineering department! November 2010: Congratulations to Christine Caneba for receiving 2010 Edgar O’Rear Travel Grant. November 2010: We welcome our newest lab members: Aaron Damm, Lifeng Yang, Bahar Salimian, first year chemical engineering graduate students! May 2010: Congratulations to new group member Christine Caneba (Bioengineering, II year) on joining the group. 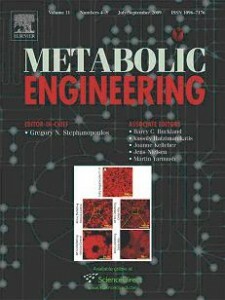 May 2010: Professor Deepak Nagrath’s paper Soft Constraints-Based Multiobjective Framework for Flux Balance Analysis is accepted for publication in the Metabolic Engineering Journal. March 2010: Professor Deepak Nagrath’s research in adipocytes and discovery of natural extracellular matrix has been featured in several science-related websites.